The Foundation was established for the purpose of conserving the birds and mammals of the Commonwealth of Pennsylvania. 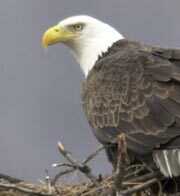 We are the only Foundation dedicated to all Pennsylvania birds and mammals and the ecosystems in which they live. As a 501(c)(3) non-profit organization, the Foundation is able to raise, receive, acquire, and distribute funds and other property. The principal benefactor of the Wildlife for Everyone Endowment Foundation is the Pennsylvania Game Commission. The Commission is an independent agency that was established by the General Assembly in 1895 to manage and protect the wildlife resources of the Commonwealth. The Foundation is separate and independent from the PA Game Commission with its own Executive Director, Officers and Board of Directors. The mission of the Pennsylvania Wildlife for Everyone Endowment Foundation is to provide private support to enhance wildlife habitat, wildlife scientific research, wildlife education, land preservation, youth programs, and a science and research center. The birds and mammals of Pennsylvania are treasures that are enjoyed by all of its citizens. No general fund monies are used to support wildlife. In the past, there was no easy way for citizens to support wildlife, unless they were hunters, trappers, or shooters. Now, through the Foundation, anyone can contribute to wildlife management. The Foundation challenge is to conserve wildlife where need is the greatest, where private support will make a difference and to ensure a leading role in protecting and creating habitat for all 480 birds and mammals that live in Pennsylvania. Contributions to the Foundation are fully tax deductible.